If frost does occur, the information below will give you some details to help assess any potential impact to crop yield and quality. The full impact of frost will not be obvious immediately. Several warm days may be required for the extent of leaf and crop damage to be evident. The magnitude of frost injury will be dependent upon how low temperatures went, time of exposure, and the stage of crop development. Generally, the closer the crops are to maturity, the less serious the loss. Critical stages and temperatures for various major crops are described as follows. Typically wheat is more tolerant than barley, and barley is more tolerant than oat to fall frost. In the milk stage, temperatures below 0°C will impact yield and cause kernels to become light and shriveled. Frozen immature spikelets will also turn white. In the early dough stage, research has shown cereal crop yields will be affected once temperatures hit -6°C for at least one hour; seed germination is also reduced. Once again, kernels will be shriveled. Cereal plants in the mid to late dough stages will sustain less damage than plants exposed at the early dough stage. After mid-dough stage, temperatures down to -4°C can result in damage in the form of bran frost, kernel shrinkage and possibly a reduction in germination. Signs of kernel damage won’t be evident until at least 7 to 10 days after the frost event. With respect to yield, lab experiments have shown that wheat, barley and oats show little yield reduction at the late dough stage when exposed to -8 C for one hour. Remember – grain that has been impacted by frost should be tested for germination and vigor prior to using for seed; the earlier the frost, the greater the impact to seed quality. There are really no harvesting guidelines in dealing with frost damaged cereal crops. It is recommended to wait for a few days to determine level of damage caused by the frost before making any decisions. If the plants are killed by the frost, leaving it standing versus swathing won’t have an impact on yield or quality. However, it may become more of a harvesting efficiency issue. Damaged cereal crops can become more susceptible to lodging and shattering, which may necessitate careful monitoring of the crop if planning to straight cut or deciding to swath (which may help to reduce shattering losses). However, kernel moisture content will still need to be considered – harvest when moisture contents are at levels to safely store or plan on drying/aerating the crop. Keep in mind that weather conditions afterwards will influence the quality obtained as wet weather could cause downgrading from mildew and heating damage. Damage to canola from frost is dependent on the seed moisture content and the time of the frost. Seeds that are dry and mature can be frozen with little or no effect on seed quality or viability. Seeds having moisture content of 20 per cent or more though, will suffer from frost injury with yield and quality losses. A frost of -3°C will kill immature seeds containing 50 to 60 per cent moisture. Seed drier than 20 per cent is more at risk of increased green seed content than yield loss and dead seed. After a frost has occurred and canola is standing or in the swath, the damage will become obvious as you approach 72 hours after the event. Canola should be left standing until 30 to 60 per cent seed colour change, and not swathed immediately after the frost to reduce locking in green seed. 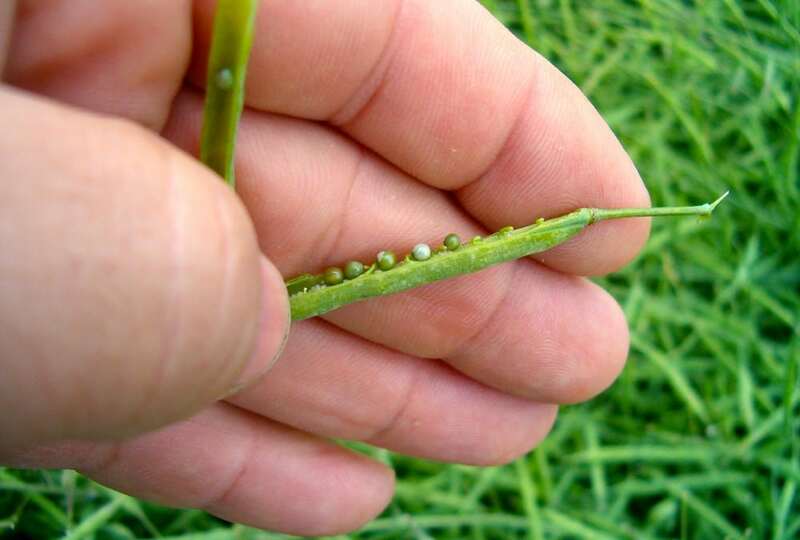 Pods can become brittle if frost damaged, which increases the chances of shatter, so swathing should be timed carefully when pods are still wet with dew or rain and more pliable. Flax can withstand frost and weathering conditions better than some other crops if plants are maturing and seed moisture is dropping. Flax is most susceptible during flowering and early boll stage and immature green seeds can be killed by temperatures from -2°C to 0°C. After flax reaches the dough stage it is more resistant to frost and bolls maintain the integrity which means it is less susceptible to shelling out compared to canola pods. But, as flax sits out in the conditions and goes through many frost wet/dry events, the seed appearance becomes dull and less desirable to the human consumption market. A frost event anytime before physiological maturity (growth stage R-9) can cause damage. Greatest damage and susceptibility will occur when the sunflowers are in the bud and flowering stages, where temperatures of -2°C and -1°C can result in damaged buds and sterile sections or rings in the flowering head. After pollination and petal drop, sunflower can withstand temperatures as low as -4°C with only minor damage. Even though damage may be minor, yield, oil content, seed quality/test weight often are reduced when a sunflower’s experience a killing frost before the R-8 stage. A killing frost in sunflowers is considered to be -4°C to -5°C for 6 or more hours. Easily damaged by light frosts in the -2°C to 0°C range. 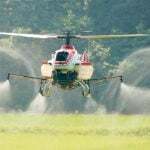 The extent of damage will also be dependent on the duration of the frost, the thickness of the crop canopy and the amount of dew on the plants. A light frost of short duration on a heavy dew filled crop canopy may only penetrate 4 to 8 inches into the soybean canopy. This type of damage will kill the terminal flower bud and any young pods on the top two nodes, but pods from these flowers likely wouldn’t have matured anyway. Frosted leaves and stalks rapidly turn dark green to brown and will not recover. Beans in pods that are still green and soft will shrivel up and will go through the combine at harvest. Beans in pods that have turned yellow will mature normally. Some of the large green beans that make it into your sample will turn yellow after 30 to 40 days in storage. The point at which grain corn is “safe from frost” is defined as physiological maturity and is correlated with the appearance of the thin, black layer of dead tissue at the tips of the kernels. Grain moisture at physiological maturity typically ranges from 30 to 35 per cent, but can vary based on hybrid. If frost is light and the leaves, stalks or husks are not damaged, kernel development will continue. Yield losses from death of leaves only prior to physiological maturity are estimated to be 35, 27, and 6 per cent for soft dough, full dent and half-milk line stages of development, respectively. Yield losses when only leaves are killed compared to if the entire plant is frozen are less because the surviving stalk can remobilize carbohydrates from the stalk tissue to the developing ear for some time after the damage occurs. Of course, this is assuming the necessary heat units are accumulated to make a difference. If the necessary heat units aren’t received, a premature black layer may form, ending further grain fill. A killing frost (-2°C or lower) prior to physiological maturity where the entire stalk and leaves are frozen will cause premature black layer development. Grain filling will cease and light weight, chaffy corn will result. Yield losses from total plant death prior to physiological maturity are estimated to be 55, 41, and 12 per cent for soft dough, full dent and half-milk line stages of development, respectively. 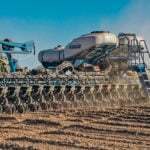 Since the grain moisture content will be generally greater than 35 per cent, substantial field dry down will be needed prior to harvesting. For further information, refer to the ‘What to Do with Frosted Corn’ article. 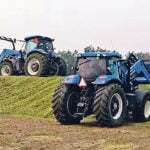 Silage yield losses can accrue quickly depending on the severity of the frost. As with grain corn, if the plant is not killed grain filling can continue. And as the corn matures, the lower moisture levels needed for ensiling are also more likely achieved. However, the trade-off is the lost biomass in the leaf material. 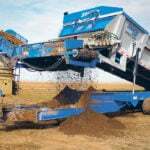 The leaf material adds significant forage yield, as much as 10 to 15 per cent of total plant dry matter. If a killing frost occurs at grain filling, when to ensile still is still dependent on whole plant moisture. Be aware that there is the potential for high nitrates, especially in fields that were originally planned for grain production since they typically have high nitrogen applications. With a mild frost at dough stage, silage yields can be reduced as much as 35 per cent. If frosted at this stage, allow the field to dry until whole plant moisture goes below 70 per cent, then ensile.